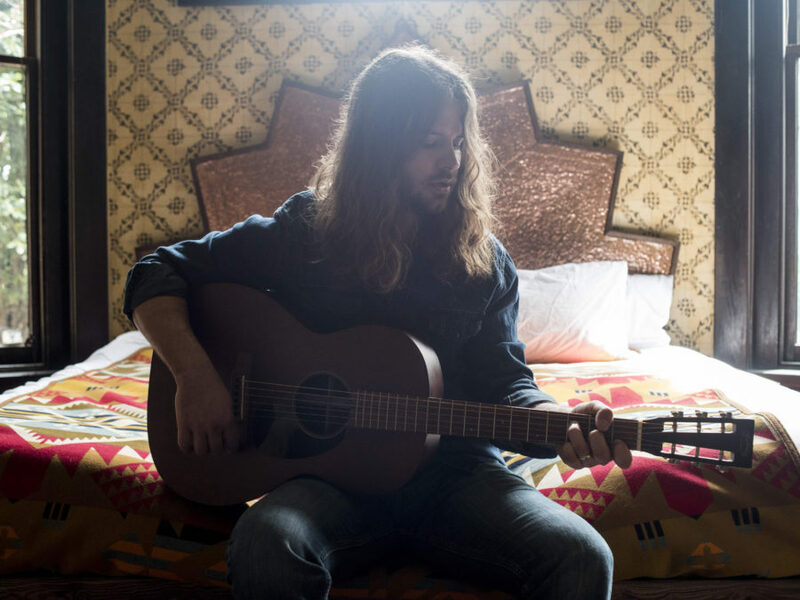 Brent Cobb's new album, Shine On Rainy Day, comes out Oct. 7. Don VanCleave, Courtesy of the artist. Contrary to institutional narratives and popular perception, there’s a place more significant to the country-music imagination than Nashville: the small town. It’s impossible to miss the number of song lyrics and music videos set there. The humble hamlet is symbolic ground on which many artists choose to stand, idealizing it as a site of possibility — the notion that a meaningful life can be lived either by staying there or staying true to small-town values even when you make good elsewhere — and insisting that cosmopolitan elitism not render it invisible or inferior. It’s a defiant posture that finds contemporary expression in the surly, stadium-rocking superstar Jason Aldean. Often, these musical gestures come off as brash. Then there’s Brent Cobb, a 30-year old, rural Georgian who’s enjoyed success as a Music Row songwriter — despite his ambivalence about the pressures that popular templates exert on would-be hit-makers — and is finally gaining notice as a performer in his own right. He’s devoted to the concrete existence and mythology of small-town ways of life, but he has a modest way of expressing it on Shine On Rainy Day. Cobb has been linked to the celebrated tradition of the countrified poet, whose archetype is Kris Kristofferson. But it’s illuminating to think of Cobb as belonging to a less-documented lineage — one that includes Bobbie Gentry, who framed her deft Southern Gothic narratives with a sultry, caressing delivery and sophisticatedly earthy arrangements, and Tony Joe White, who’s spun tales of backwoods characters with swampy coolness. Gentry and White themselves have been joined by subsequent generations of rooted, rhythmically attuned singer-songwriters like Shelby Lynne and Anthony Hamilton. Cobb recorded this album with his cousin, the white-hot Nashville producer Dave Cobb, and together they’ve arrived at the muggy easefulness, wilting syncopation and rawboned trimmings that suited the songs. Brent sheepishly admits to having felt skepticism upon meeting Dave at a family funeral some time back; after all, this was the relative who’d run off to make a name for himself in the music industry of Los Angeles. The musical model that made more sense to Brent was the one he’d learned from his dad, in which players fix people’s busted appliances all week long, then entertain those same folks at the bar on the weekend. As a kid, Cobb couldn’t tell the difference between the covers in his dad’s repertoire and his dad’s originals — one of which, the classic pining-for-the-comfort-of-home number “Country Bound,” Cobb includes on Shine On Rainy Day. The message is perfectly clear: No matter where he currently hangs his hat, his music emerged from and still belongs to a particular pastoral community, and that’s the source of its imaginative substance.